How to save time without cutting corners or spending a fortune! Apart from robot owners, who wouldn’t want faster milking for themselves or farm staff? 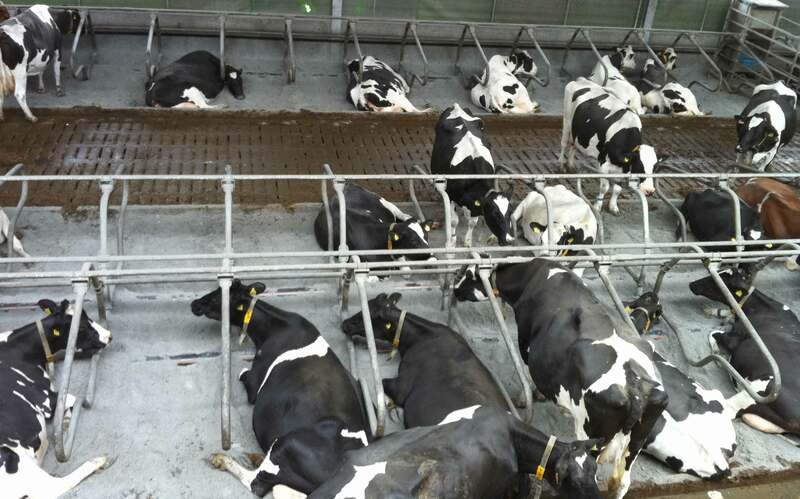 Welcome news is that this is an unexpected and welcome upshot of switching to new cubicle bedding for increasing numbers of farmers this autumn. Unsurprisingly, this comes about because clean teats on clean cows need little pre-milking preparation. Curiously perhaps, this year’s increasingly severe straw shortage is responsible for more and more farmers discovering these time saving tips. In some parts of the country, limited availability, poor quality and extraordinary high prices for straw are driving dairy farmers to other cubicle bedding materials. The reports of faster milking times come about as a result of decisions to use bedding material containing dried paper and kiln dried virgin sawdust, trade name EnviroBed Premium. The idea for combining these two raw materials actually came from farmers themselves. From time to time in the early days of making a 100% paper bedding (EnviroBed Original), the manufacturer became aware that some customers were also buying sawdust, mixing the two materials, and making a bedding material they found more suitable. A number of these farmers asked the company whether it would be possible to make a blended paper-sawdust product, to save them time mixing and avoid the extra cost of holding two materials in stock. Envirosystems tested different types and sources of sawdust at various i n c lus i on rates, and quite quickly found the right recipe. This creates a lower density, more fluffy material. In contrast with 100% sawdust, it doesn’t blow off the cubicle beds but stays where it’s put. EnviroBed Premium is 95% dry matter and mildly alkaline 7.4 pH, helping create a dry and comfortable bed space for cows that is alien to mastitis bugs and fly eggs. It is biodegradeable and compatible with all slurry systems. Per cubicle, the recommended daily quantity and cost are just 1kg at less than 10p. In addition to faster milking times, this material is helping some farmers save even more time by only bedding up three times a week while maintaining cow cleanliness and comfort.